Cabinet Jove is puzzled together with woodworked drawers and doors. This patchwork piece not only has heirloom potential, it also comes with organizational skills. 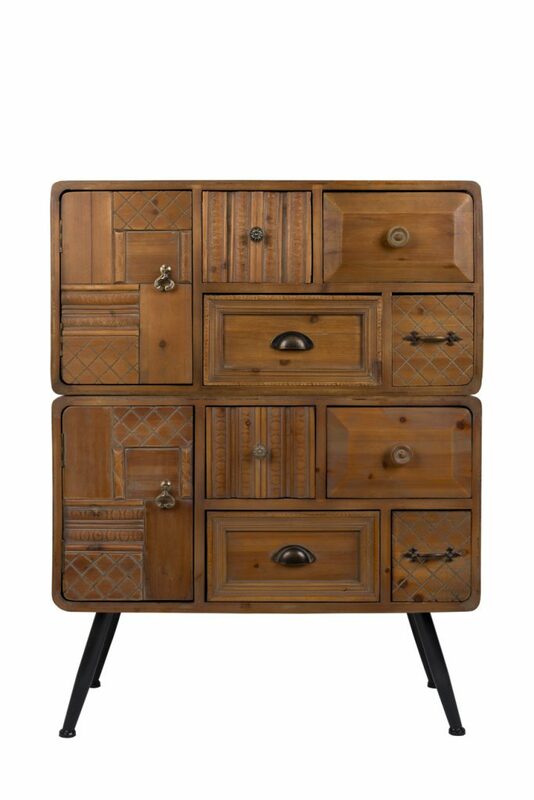 With eight drawers and two doors, Jove cabinet is ready to sort and store its owner’s life.